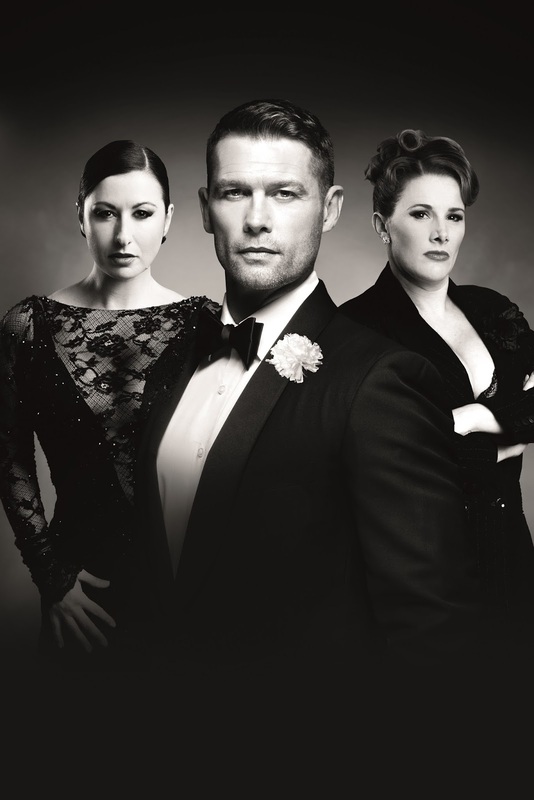 “Murder, greed, corruption, exploitation, adultery and treachery… all those things we hold near and dear to our hearts”… so begins the international award-winning musical CHICAGO, which comes to the Edinburgh Playhouse on Monday 13 – Saturday 18 June 2016 starring John Partridge as Billy Flynn, Hayley Tamaddon as Roxie Hart and Sam Bailey as Mama Morton. Tickets go on sale to ATG Theatre Card holders on Monday 23rd November and general onsale is on Wednesday 25th November. John Partridge is probably best known for playing the role of Christian Clarke in EastEnders. His many musical theatre credits include Rum Tum Tugger in Cats in the West End, on tour and the official film of the show, John inMiss Saigon on the first UK national tour and most recently Zach in A Chorus Line at the London Palladium. John was also a judge on BBC1’s Over the Rainbow, Andrew Lloyd Webber’s search to find a Dorothy for the musical The Wizard of Oz. Hayley Tamaddon has just finished playing Andrea Beckett in Coronation Street. She also played Del Dingle in Emmerdale. Her numerous theatre credits include The Lady of the Lake in Spamalot and Janet in The Rocky Horror Show. Hayley also won the 5th series of ITV1’s Dancing on Ice. Sam Bailey worked as a prison officer at HM Prison Gartree for three years until 2013. At the end of that year Sam won the tenth series of The X Factor receiving more than a million votes over the course of the final weekend. Following her win, her debut single Skyscraper was released and achieved the Christmas Number One. This was followed in 2014 with her debut album, The Power of Love, reaching number one in the album charts. CHICAGO opened at the Adelphi Theatre in London on 18 November 1997 to rave reviews, winning the 1998 Laurence Olivier Award for 'Outstanding Musical Production' as well as the 1998 Critics Circle Drama Award for 'Best Musical', and immediately became a sell-out hit running for 15 years. CHICAGO is currently playing in New York where it holds the record as the longest running musical revival and also the second longest running musical in Broadway history. The 2016 UK National Tour of CHICAGO will be produced by David Ian and Michael Watt in association with the Broadway producers Barry and Fran Weissler.